Photo by Dave Nix (My name is Dave on Flickr). Photo by Jeremy (Famous People on Flickr). Photo by Travis (Travois on Flickr). Photo by Nick (jpnick on Flickr). Photo by Alaya on Flickr. Ho Chi Minh City, Vietnam. Photo by Kelly Cheng. Delhi, India. Photo by Rebecca Desmots (Bec@ on Flickr). Photo by Ewa (Noelii on Flickr). Delhi, India. Photo by Christopher (Augapfel on Flickr). Photo by Gianpaolo Fusari (wazuluwazu on Flickr). Photo by crisintis on Flickr. Kobe, Japan. Photo by Pingdom’s very own CEO, Sam Nurmi. Bangkok, Thailand. Some of those look like “end-user patches” to get free power. There was a story on PBS where they were trying to get people used to the idea of paying for power (in Russia I believe) when they were used to getting it for free under the old communist ways. People refused to pay (and really could barely afford to in the first place). 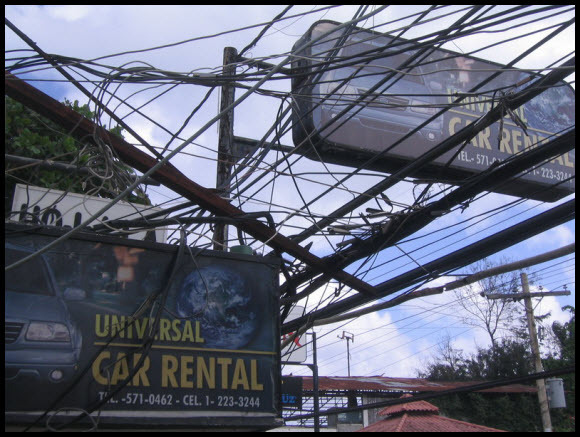 What is the static load bearing capability of a utility pole? I’m sure that some of these poles are near that limit. 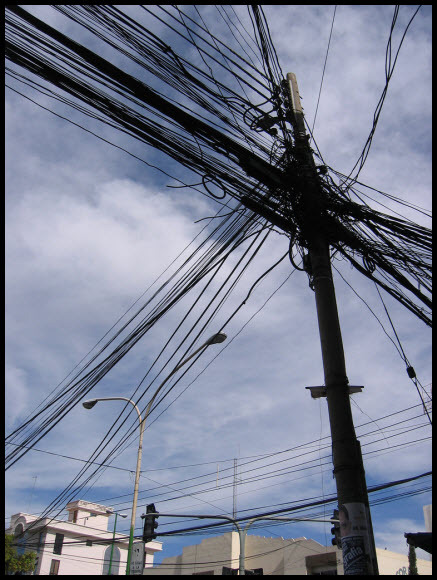 If one of these poles goes, I wouldn’t be surprised if the whole local network of poles go down like dominoes tied together with string. 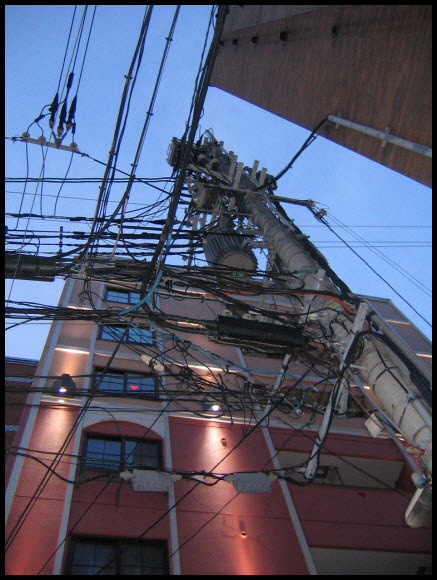 Yip, this is electricity, phone and cable tv wiring at it’s best. 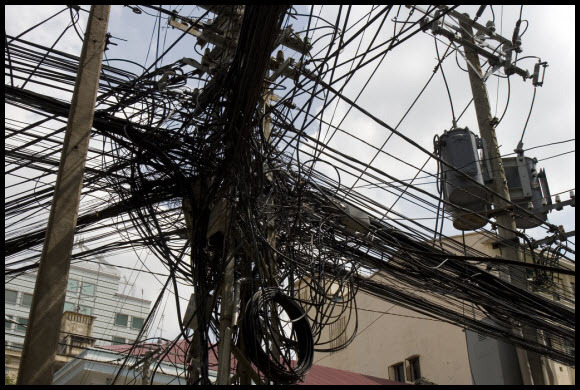 It’s often when the electrician (or cable installer) comes out to fix a problem or install a new connection that makes this worse. 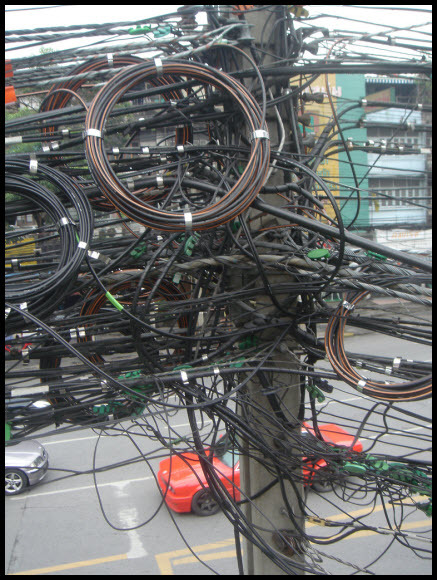 They look at the mess on the pole above them, and decide that installing a new cable is a better idea than trying to find the fault. @_ck_: New Orleans, United States. I got sick of being in the dark followin Katrina. 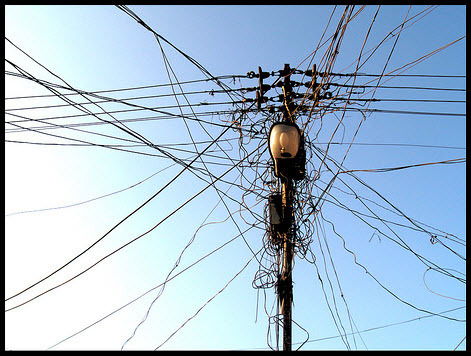 The grid was on, but the electric company wasn’t turning on houses without inspections. I popped open the meter box and hammered conductive plate metal into place on both sides, and voila, instant free electricity. Then came a stormy day weeks after that. The power went out. I went to check the plate metal hack. One of them had, indeed, slipped out of place somehow. I attempted to put it back into place with a pair of pliers wrapped in electrical tape, while I was standing in a puddle of rain water. I woke up a few minutes later. Witnesses said the arc was so bright they thought sure I was dead. And that’s th story of how I learned never to play with electricity again. These two have got to be the most EPIC and I’m surprised they’re not a part of the list. This is a fine collection – perhaps next time around visit Hanoi and Manila. 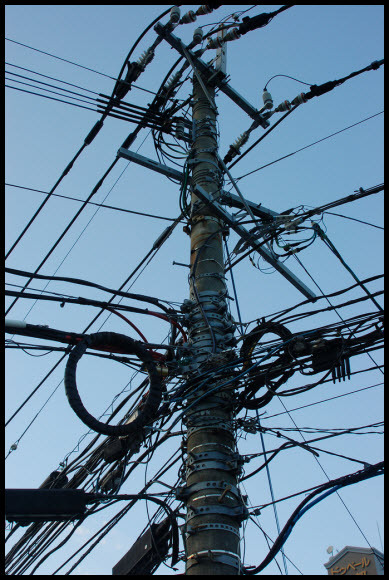 They have some amazing systems which will awe your understanding of science – that wooden poles can manage to bear such weight and that power manages to get through despite so much splicing. 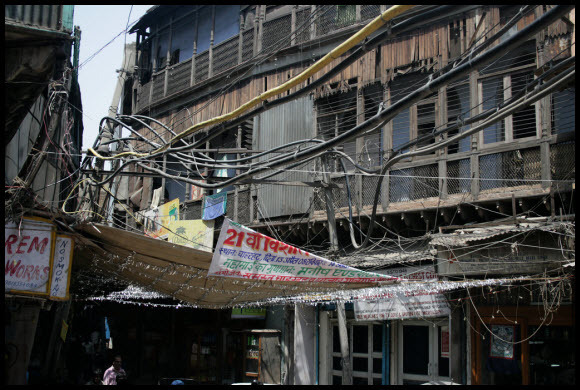 Then again, some areas in those cities are prone to brownouts. This one is in Bangkok’s chinatown. most of the poles in the pictures are steel. 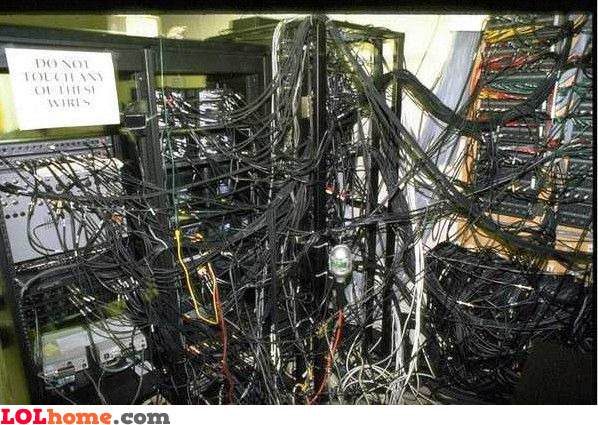 And the location is most likely a junction area that connects several systems. I don’t think they look all too complicated. 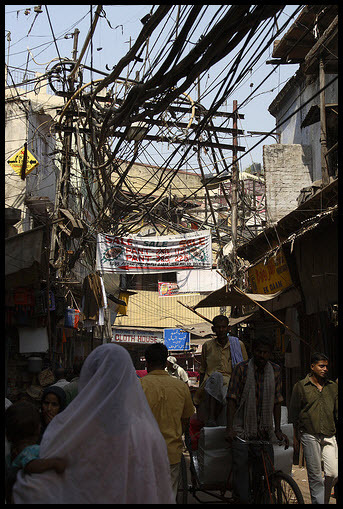 And to think, if Thomas Edison had had his way, each of those power lines would have to be a foot in diameter. 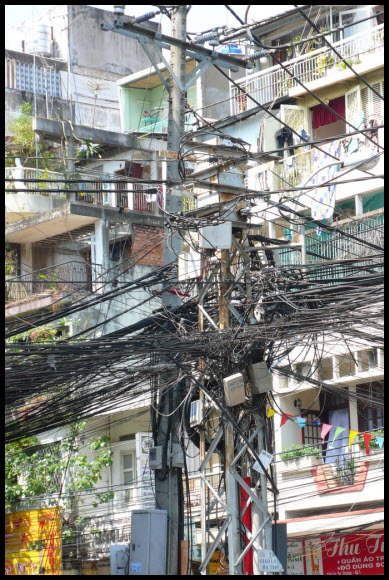 Yip, this is electricity, phone and cable tv wiring at it’s best. 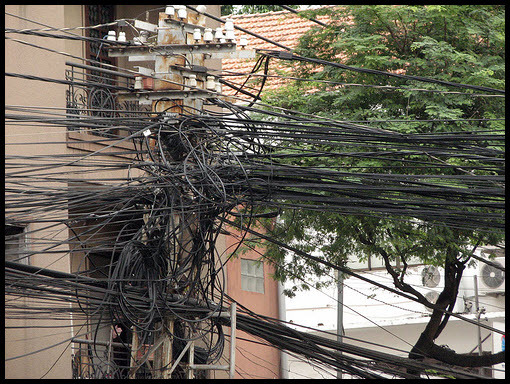 It’s often when the electrician (or cable installer) comes out to fix a problem or install a new connection that makes this worse. 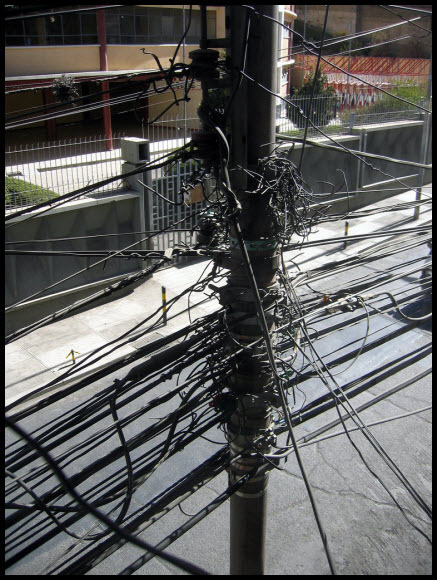 They look at the mess on the pole above them, and decide that installing a new cable is a better idea than trying to find the fault. Thanks for posting this information. 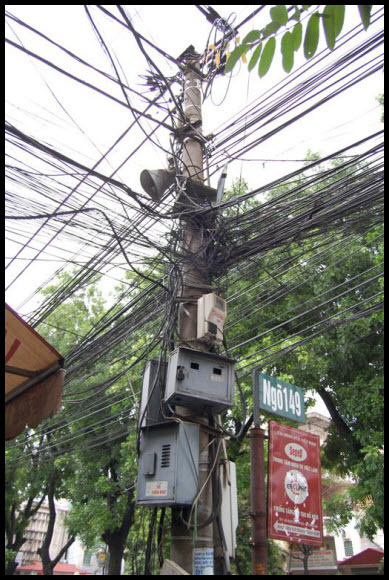 I think this is why the government has regulations on how we should be doing the <a href=”http://www.midlandelectricsupply.com”>electrical relays in Indianapolis, IN</a>. My brother is studying to be an electrician and he is pretty good at it. I have been impressed.